John Fox and I exchanged a few thoughts about Print-on-Demand books and our experience with them in the comments section of a previous post. I thought some of the readers might be interested and perhaps provide comments about their own experience. DW: I was interested in the opinions of authors who elected to go with POD, so I looked through the messageboard of one of the larger POD companies. A broad range of experiences were present, from complete nightmare (i.e. binding falling apart;your cover, someone else's text inside, etc....LOL) to guarded satisfaction. One thing I was struck by is the cost. It remains almost prohibitively high, even with the 2nd and 3rd rate paper and binding materials, and was not helped by ridiculous shipping prices. At least for that firm, a lot of kinks need to be worked out. JF: The other thing about POD is that bookstores will not carry the book. So your sales are directed toward nontraditional markets. POD books tend to look cheap too. I have zero personal experience with POD but I have heard and read some bad stories about the process. I do not know if Amazon will carry POD. Perhaps some of your readers know the answer to this. DW: Amazon carries many POD books (I've purchased a few CW ones myself). Lots from Authorhouse. JF: What are your thoughts on the look and feel of POD books? DW: I've come across a few decent hardbacks but the great majority have the killer combo of high price/poor quality. Print quality is very mediocre all around, and the reproduction of photos and drawings are problematic to put it kindly. The paperbacks have been just awful. I have maybe 3 or 4 pb CW books from various POD outfits and they all have very lightweight wrappers, cheap paper, and terrible binding (all spines are warped and/or creased to some degree). As you can imagine my own little sampling has left me far from impressed with the current level of technology. JF: This has been my experience too. In fact several years my book came out I heard of a book on a sister regiment in the same brigade. Thinking it might offer me some good info I ordered the $35 paperback off the website. When it came it was such poor quality I could only laugh. You know what they say about a sucker born every minute. It looked like they had gone to a Xerox machine, cut the pages with scissors and then glued a paper binder around the whole mess. This is precisely the reason that bookstores don't want to have anything to do with POD books. Even with good quality POD books you still see some disappointing aspects of the technology, especially with the reproduction of the visual aids. The lack of a consistent print quality (odd font changes, some pages lighter or darker than the others, etc.) is another common negative feature. I do understand this stuff is still in its relative infancy, so I look forward to seeing where we are a few years from now. However, the much needed hurdle of lower prices with increased quality isn't something many companies are good at these days! One of the best examples I've come across is my review copy of Fred Ray's sharpshooter study (only the review copies were POD), but even then photos and drawings can still look slightly faded or a little pixellated, for lack of a better description. I've read very little about J.O. Shelby's river interdiction efforts in NE Arkansas during the summer of 1864 so I'm hoping to learn something from that other Christ essay. As a little preview, I found this piece about the U.S.S. Queen City from the City of Clarendon website. In the 1960s Ed Bearss wrote a number of excellent articles (link to listing) for Arkansas Historical Quarterly for those interested in the CW campaigns around Ft. Smith. 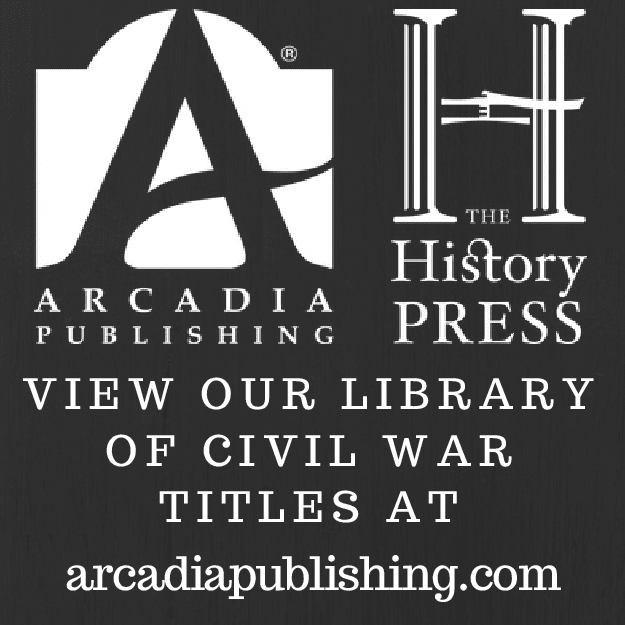 Mark Christ: "The Earth Reeled and Trees Trembled - Civil War Arkansas, 1863-1864"
This looks like a great collection of essays and should be available for purchase towards the end of the year from the Old State House Museum store. Tom from Touch the Elbow has promised updates and a review near publication time so check back there often. If you are interested in battlefield preservation in Arkansas or the state's historic preservation efforts in general, you might be interested in the weekly e-newsletters sent out by the AHPP. Here are some other publications. This posting concludes my two-part (Part One) email interview with John J. Fox III, author of the 35th Georgia regimental history Red Clay to Richmond. DW: Many books have an interesting path to publication. Can you take us through your own journey and tell us why you elected to go with your own personal imprint (Angle Valley Press)? JJF: My path to publication has certainly been an interesting journey. In fact I gave a talk at our local library last spring and the title was “Curves and Speedbumps in Writing a Book.” A publisher gave me a gentleman’s agreement in the early 1990’s to publish my book. Various disagreements erupted including length and content. Several years later, in frustration, I asked for the manuscript to be returned. I found another publisher who gave me a written contract. This made me feel better, but in the end they jerked me around even worse. After sitting on my manuscript for three years the second publisher kept telling me it was coming out. This publisher was then bought out by a larger firm and I was told that my book was still in line to be printed. Well, after another year of waiting I asked some hard questions and discovered the new company did not intend to publish my book. I could have taken them to court, but I realized this would not help me get the 35th Georgia story out. The self-publishing idea had floated around in the back of my mind for a long time and I finally decided to really take a look at that option. After investigation I realized that I could publish the book myself and probably do a better job. So that is how Angle Valley Press began. It has been a lot of work, but I am still glad I went this route. Self-publishing allowed me to maintain control over all the content and design. All the approximate eight years of frustration with the other publishers actually turned out to be a blessing in disguise. The extra time allowed me to dig up more primary material written by the soldiers. The present book is a much more thorough account of the 35th Georgia wartime experience and I am quite humbled and proud of Red Clay’s success. I also like to think those Georgia veterans are staring down from heaven with smiles on their faces because their story has finally been told. Comment: I should mention how well edited and well presented the text is as well. I've never been a person with a kneejerk dismissal of all self-publishing efforts, but, of course, only a very tiny minority are as high quality as this book and others such as Fred Ray's recent ANV sharpshooter study. I hope it doesn't turn out this way, but industry economics and declining CW interest might make self-publishing the only real option for an increasing number of CW studies. DW: Your diligent efforts in tracking down manuscript source material will certainly be appreciated by readers. Were you able to find materials not consulted by any previous historians? JJF: Most of the excerpted letters and diaries used to describe the 35th Georgia experience have never been published before now. Some of these items I located in various state/county archives and other items were sent to me by descendants of the soldiers. I located several obscure letters copied onto microfilm at the National Archives in Washington, DC. I even stumbled into the complete court martial transcript of Lieutenant S.G. Johnson’s trial that I included in Appendix D of my book. This remarkable document I know has never seen the light of day until now. The National Archives is a remarkable place. They literally have miles and miles of Confederate records on microfilm – records of unknown importance just waiting for the right researcher to give them light. DW: Did you discover any significant gaps in the wartime service of the 35th Georgia for which you couldn’t find source material? JJF: The Second Manassas Campaign caused me some problems. I really had to dig to come up with primary material related to my Georgians for the end of August 1862. Before the campaign began, several of my prolific letter writers were either lying in hospital beds or lying in graves. Because I had combed archival material for the 14th, 45th and 49th Georgia regiments plus located Federal material I was able to put the chapter together. DW: Is there something I’ve left out that you’d like to bring to the attention of CWBA readers? JJF: There is still 35th Georgia material out there and I would like to ask your readers who might happen to come across it to please let me know. I am interested in 14th, 45th and 49th Georgia information too. Also, the 35th Georgia’s first commander and later brigade commander, Brigadier General Edward Lloyd Thomas, was very reticent. Thomas’ fellow brigadiers would write battle reports several pages in length. Thomas’ report about the same battle would be three paragraphs. He was an excellent combat commander, quick to wave the sword, but slow to use the pen. This of course made my job somewhat difficult. Thomas was well educated (1846 Emory College graduate) and after the war served out West in the U.S. Land Department and then was in charge of the Indian bureau in the Oklahoma Territory where he died and was buried in 1898. There has to be a treasure trove of his letters somewhere, but I have not found them. If any of your readers find them I would be forever in their debt if they would let me know. Comments: If anyone has information for John, there is email contact information at the press's website. See link just below. DW: Thank you very much for your time, John. For more information about Red Clay to Richmond please visit the Angle Valley Press webpage. What can we expect from your next Civil War-related project? JJF: Thank you for giving me the opportunity to talk about my Georgians and how the whole Red Clay to Richmond project came to fruition. My next book project is slated for release in Spring/Summer 2007. It will be about the Battle of Fort Gregg which closed out the Petersburg Campaign. Many people refer to this little known but significant fight as the Confederate Alamo. Numerous soldiers from both sides who had fought at places like Gettysburg, Sharpsburg, Wilderness, and Spotsylvania Court House said this was the nastiest, bloodiest fight they had endured during all four years of the war. At least twelve Union soldiers received the Congressional Medal of Honor for storming the ramparts of Fort Gregg. Some three hundred Confederates manned the earthen walls of the fort at the beginning of the fighting and when they ran out of ammo and the hand-to-hand combat ended, only fifty-four remained standing. Why does this battle still remain obscure? It was overshadowed by the fall of Petersburg and Richmond; the surrender at Appomattox; and the assassination of Lincoln. However, if those sacrificial Southerners had not made their stand at Fort Gregg we would never have heard about Appomattox Court House. There are so many compelling stories of bravery that occurred at this terrible spot on April 2, 1865. I am excited about finally giving the brave men from both sides who fought at this place their due. Angle Valley Press also welcomes manuscripts from other historians working on projects related to Georgia and the War. I have an author working on a regimental history of the 50th Georgia and this book should be released in the Spring/Summer 2007 as well. Comment: You're very welcome, John, and good luck with future publishing projects. The 50th is in good hands and it sounds like your Fort Gregg project will be a nice companion to A. Wilson Greene's history of the last moments of the Petersburg siege, Breaking the Backbone of the Rebellion. DW: Exceptionalism in regimental histories (in this case I mean the tendency authors have of excessively lauding the individual fighting prowess and accomplishments of their units, especially at the expense of the reputation of other units from either side) is one of the genre's troubling elements. It seems to me that in no other popular Civil War genre, except perhaps biography, is there a deeper emotional connection between writer and subject than with unit histories. However, you inject a healthy dose of balance by including in your narrative vast numbers of first person accounts written by the regiment’s Union opponents (far more than any other unit history I’ve come across). What else aided your construction of a balanced retelling of the 35th Georgia’s wartime odyssey? JJF: Thanks for recognizing my attempts to achieve balance in my book although I have to admit that I did not initially write Red Clay to Richmond with that in mind. I had pretty much finished the manuscript and realized that something was missing. A war is not a vacuum although the soldiers who fight at the small unit level probably feel like the only thing that is going on in their world is the dirt and bullets being kicked up on the ground right around them. Those bullets and shells are obviously coming from the enemy and the story is not whole until you give their perspective too. It took a bunch of extra work to scour reports and maps to figure out which Union regiments fought against the 35th Georgia in all of their engagements. I then pulled the pertinent reports out of the Official Records of the War of Rebellion and located letters and books written by the Union veterans from those units. I plugged the Federal information into the manuscript and then sent the various chapters to seven noted Civil War historians for their critiques. These gentlemen all took of their time to aid me - an unknown historian. They each provided the quality control that a project like this needed to keep me from making some embarrassing errors. DW: Your numerous maps really help the reader place the 35th on the battlefield and the numerous photographs depicting the regiment’s viewpoint at various stages of the battles is another nice touch. Really, the visual aids are one of your book’s great strengths. Would you care to comment on them? JJF: I am a visual person. When I read a book about the Civil War or WWII, my two favorite subjects, I constantly am paging back and forth between the narrative and the maps trying to picture in my mind how the terrain affects what is going on with the tactical and strategic situation. However, I frequently find myself frustrated because too many books don’t have enough maps or the maps are worthless. I did not want to do a book like that. At some point in my project I realized that a book is forever and it is worth doing right the first time. Unfortunately, some of the larger publishing houses don’t understand this and they are trying to put out a cheaper book by cutting out maps and photos. When I finished the final revisions on the manuscript I had not planned to take any battlefield photos. I realized that driving to all those sites would take a lot of time and I played a mental tug of war with doing it or not. Then fate stepped in. I received an email from an archeologist who had discovered Camp French, the 35th Georgia’s 1861-1862 winter camp near the Potomac River at what is now Quantico Marine Corps Base. He offered to give me a tour of the site. I about fell off of my computer chair. I was literally in the process of packing up the manuscript to send to the printer. Obviously, the printer would have to wait. I took the tour and it was a moving experience to stand along a wooded ridge and see more than one hundred depressions in the ground where the 35th Georgians had dug out the foundations for their crude winter huts. To be able to stand in the exact spot where these men slept, ate and shivered added an element of realism to my picture of their sacrifices. As I walked along the hillside I even kicked up shards from an old 19th century liquor bottle one of these soldiers no doubt imbibed from. Another historian had joined us for this tour and he asked me about my research and then fired a laser question at me. “Your book will have current battlefield photos where the 35th Georgia fought won’t it?” When I meekly answered that I had not done that because of the time and cost involved he replied, “Well, you’ve got to do that.” As he described this need, a timer in my mind ticked off the ever increasing delays on this book project. However, I realized that this made my decision. So two weeks later, in mid-November 2003 after all the leaves in Virginia had hit the ground, I started off on a six-day 750 mile journey to find the exact spots where my Georgians had fought and died. The car was loaded with my trusty 35 mm camera, battle books, current topographic maps, Civil War era maps, my maps, binoculars, compass, lots of chewing gum, cokes, and even an orange vest and hat because deer season had just opened. You see using all of these sources, I had to find on the battlefield where the 35th Georgia actually stood in the battle lines. I visited all the famous bloody spots in Virginia and West Virginia that had not been rudely invaded by a bulldozer blade. Six rolls of film later, and I was very thankful that I had taken the time to visit and get pictures of these spots. I also paid a visit to a northern Virginia gentleman who allowed us to take pictures of the numerous Georgia relics he had unearthed at the Camp French winter camp during the past 20 years. A number of photos in the back of the book highlight these items. DW: Many modern unit histories attempt to analyze member demographic factors such as age, occupation, religious affiliation, class, etc. etc. You chose to forgo this exercise, although you do include a nicely detailed roster. Was that kind of analysis outside of your area of interest? JJF: I decided early on that I was not trying to do a genealogy type of book. I wanted my focus to be on the day to day experiences of the lowliest mud-encrusted private down in the trenches. If I happened to find out the ages and occupations of these guys then I included it in the roster. Doing a census search for the names of the 1,330 Georgia soldiers in the 35th Georgia and then recording all their demographic info would have caused me the loss of what few hairs I still have on top of my head. Comment: There certainly doesn't appear to be a widely accepted model for CW regimental histories. Some focus on genealogy. Some do not include a roster, but perhaps might add a list of casualties. Others have detailed rosters, yet include only the most generalized military history of the unit (one that could just as easily be a history of any other regiment in a particular brigade). There's surely room for all kinds. "Of Savage Fury: The Battle of Richmond, KY"
When the Ripe Pears Fell, written by the late D. Warren Lambert and published by the Madison County Historical Society (now OP), is widely considered to be the definitive treatment of the Battle of Richmond, Kentucky and Of Savage Fury author Anthony Hawkins does not seek to supplant it, but rather augment it. By his own estimation, the author spent five years researching and compiling the most complete Union and Confederate casualty list (K,W,M) for the Battle of Richmond to date. Hawkins' research has also led him to construct three hand-drawn battle maps that show regimental positions not detailed in any of Lambert's maps. The author has also found primary source materials not consulted by Lambert and integrated them into his narrative. Of Savage Fury contains a great number of officer photographs to go along with short bios. For flag enthusiasts, some nice full-color plates of various battle flags are inserted throughout the text. Some of the book's visual elements are certainly out of the ordinary. Most authors would not include officer portrait drawings by their 8 year old sons, but these are actually quite interesting in a Picasso-esque way. The problems I have with the book are mainly with technique and presentation. Hawkins has obviously done some research, but he needs to lend credibility to his work by providing notes. A more balanced account (the narrative is written largely from the Confederate point of view in terms of content and attitude) would be helpful as well. The book is a bit of mess in terms of presentation. The printer does not employ double justification and instances of spelling errors, incorrect word usage, and improper noun capitalization are innumerable. The entire text is in desperate need of a copy editor. In the end, Of Savage Fury is an idiosyncratic and flawed work that nevertheless contains useful material. There is definitely some good stuff in the book, and hopefully a future edition can remedy its shortcomings. Sean Dail, in a posting on his blog from last week, was wondering if anyone had read the O. Edward Cunningham dissertation "Shiloh and the Western Campaign of 1862" (LSU, 1966). 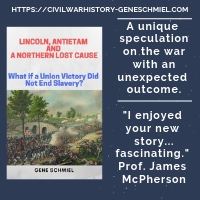 I haven't, but in an interview over at the Civil War Forum, Stacy Allen recommended it as a battle study of note, especially for the day-one action. He also praised "The Battle of Shiloh and the Organizations Engaged," (OP) by Major David W. Reed. They both sound like something I'd like to get my hands on someday. When David Woodbury told me a few months ago about the old transcripts from the Forum's archives, these were certainly the two books that stuck out. John J. Fox III has graciously agreed to take part in the second installment of this blog's Q&A series. Mr. Fox is the author of Red Clay to Richmond: Trail of the 35th Georgia Infantry Regiment C.S.A. (Angle Valley Press) and winner of the 2005 James I. Robertson Jr. 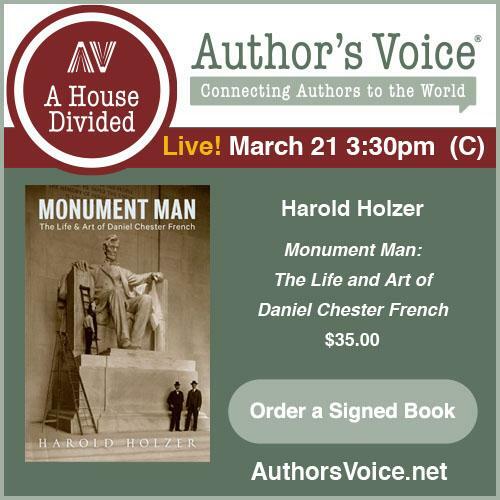 Literary Prize for Confederate History. I will be putting the Q&A together this week and adding comments. So far it's a two-parter. Look for it to be posted starting next week. 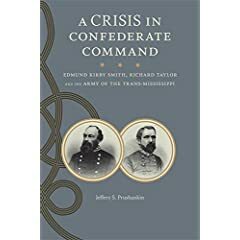 Review: "A Crisis in Confederate Command"
In a war rife with unseemly discord at the command level, the degree of acrimony between Confederate Trans-Mississippi Department commander Edmund Kirby Smith and district commander Richard Taylor certainly stands out. Although Smith and Taylor were equally committed to the Confederate cause, their lengthy relationship throughout the 1863 Teche campaign, the attempts to relieve the Vicksburg siege, and the 1864 Red River Campaign was often marred by misunderstanding, deliberate distortions, and breaches of faith both petty and serious. Personality differences aside, many of the problems between the two officers stemmed from diametrically opposed strategic views. Smith fixated on Arkansas and Missouri and favored trading large areas of space for time to effect a concentration of forces. Taylor, on the other hand, as a native son was firmly committed to Louisiana and desired to aggressively defend the borders of his district command. His constant desire to occupy the LaFourche area and threaten Union occupied New Orleans was seldom shared by Smith. Prushankin approaches the subject in a refreshingly objective manner and does not explicitly take sides. The personality flaws and command failings of both men are clearly drawn and appropriately detailed. Thankfully, we are spared the unqualified psychiatric examinations we see all too often in Civil War biographies these days. Each general is allowed to state his case in his own words and the author additionally draws upon a multitude of third party opinions in the form of politicians, civilians, fellow general officers, and private soldiers. As might be expected, the centerpiece of A Crisis in Confederate Command is the Red River Campaign, the aftermath of which expedited the final break between Smith and Taylor. Prushankin has consulted a thorough array of primary sources and a well-chosen set of secondary sources to craft an excellent command history of the campaign. His fresh ideas and insights are welcomed. Contemporary commentary from outside the Trans-Mississippi theater is thoughtfully included as well. The author’s evenhanded approach and deft analysis will mark this study as the standard work on this specialized subject for some time to come. Readers interested in Civil War command relationships in general and the Trans-Mississippi theater in particular should reserve a space on their bookshelf for this excellent study. The War in Southwest Virginia 1861-65 and Hunter's Fiery Raid Through Virginia Valleys (Retitled from-Yankee Soldiers in Virginia Valleys : Hunters Raid) both by Gary C. Walker. If first impressions don't lie, these both appear to be works of only limited usefulness. The titles of some of the author's other publications make me wonder about balance issues. I discovered used copies dirt cheap, so I thought I'd take a shot. Divided Loyalties: Fort Sanders and the Civil War in East Tennessee by Digby Gordon Seymour. I've been hunting a decently priced copy of this one for some time. Although bits and pieces are scattered around, I hope to see a full treatment of the Knoxville campaign someday. This one is the revised paperback edition purchased used (considering the price, in rather poor condition...contrary to the ebay seller book description). Along similar subject lines, Oxford University Press is publishing Lincolnites and Rebels: A Divided Town in the American Civil War later in the year. Looks like a promising wartime history of Knoxville.